Editor’s note: Dr. Jerry A. Johnson, president & CEO of National Religious Broadcasters, commented on the evangelical delegation’s trip to Saudi Arabia in this report by CBN News. 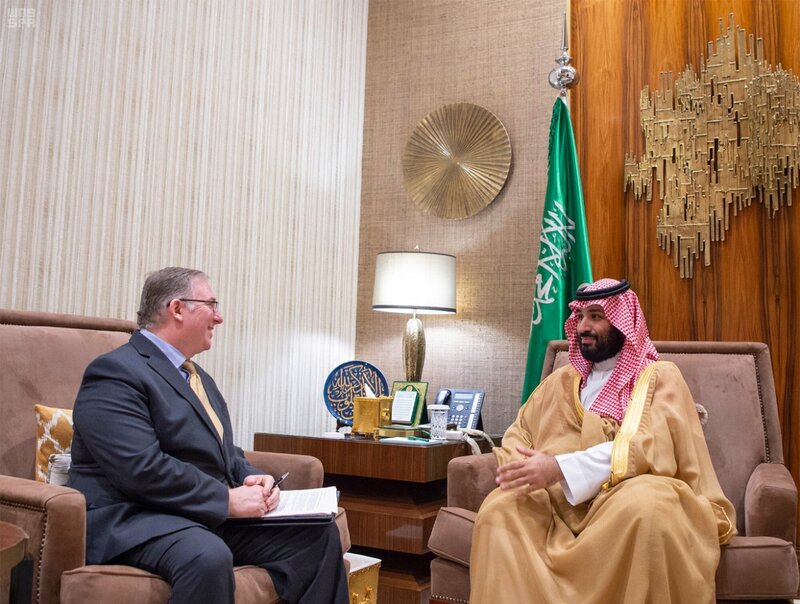 RIYADH, Saudi Arabia – His Royal Highness Mohammed bin Salman, the Crown Prince of the Kingdom of Saudi Arabia, welcomed to the Royal Palace the first-ever delegation of American Evangelical Christian leaders to engage in dialogue regarding his vision for the Kingdom and the region. 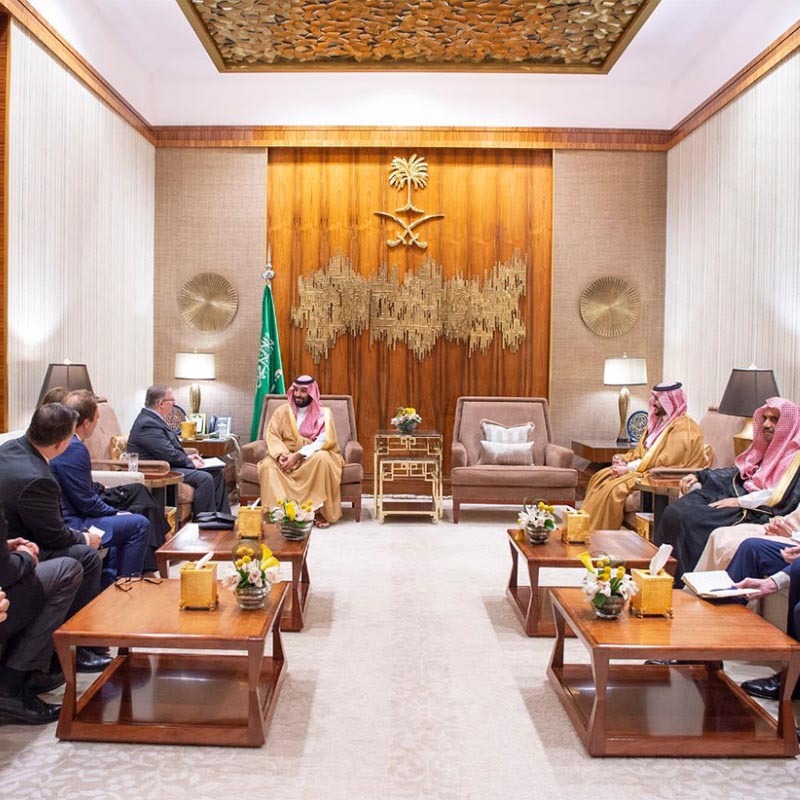 The group, led by New York Times best-selling author Joel C. Rosenberg, arrived in Riyadh from the United Arab Emirates (UAE), following similar historic meetings with government and religious leaders, both Muslim and Christian, earlier in the week. During the visit, the delegation also met with the Saudi Foreign Minister; the Minister of Education; the Minister of Islamic Affairs; the Secretary General of “Etidal,” The Global Center for Combating Extremist Ideology; and the Secretary-General of the Muslim World League. Members of the delegation to Saudi Arabia hosted by Rosenberg included former U.S. Congresswoman Michele Bachmann; Dr. Jerry A. Johnson, president and CEO of National Religious Broadcasters (NRB); Michael Little, former president and COO of The Christian Broadcasting Network; Dr. Mike Evans, founder of the Jerusalem Prayer Team; Rev. Johnnie Moore, president of The Congress of Christian Leaders; Larry Ross, founder of A. Larry Ross Communications; Pastor Skip Heitzig, senior pastor of Calvary Albuquerque in New Mexico; and Wayne Pederson, former chairman and CEO of the NRB. PHOTOS ABOVE:  HRH Crown Prince Meets with a Delegation of American Evangelical Christian Leaders, currently on a visit to the Kingdom as part of a tour of the region. HRH Crown Prince Meets with Joel C. Rosenberg and a Delegation of American Evangelical Christian Leaders at The Royal Palace Friday. Photographs courtesy of SPA.